Have you ever thought about how you learned to spell? Were you asked to memorize words for a Friday test only to be forgotten by the following Monday? Were you encouraged to try “kids’ spelling” where you invent your own and told it was fine? Or were you asked to write every word out 10 times each. These methods do not work for many students. At Little House we use Orton Gillingham multi-sensory teaching methods that focus on all pathways to connect visual, auditory and tactile learning. 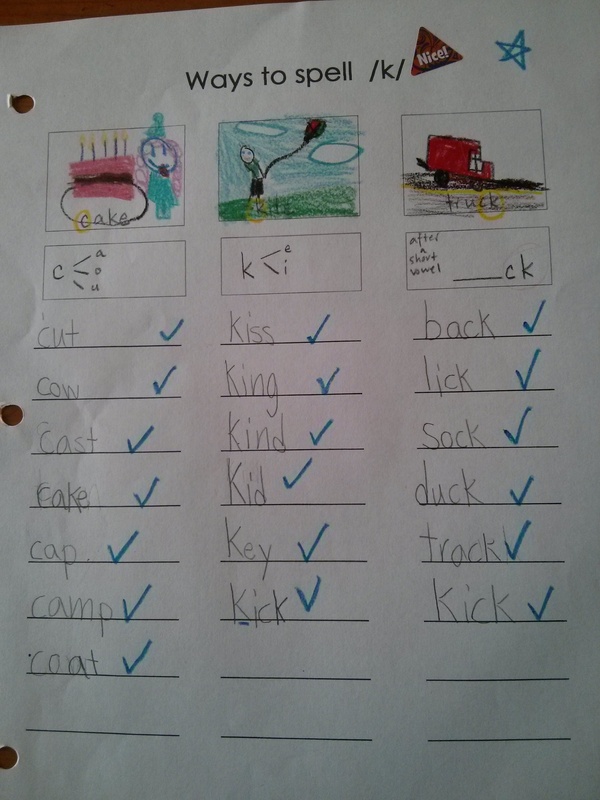 Teaching phonograms and corresponding spelling rules provide logic and understanding. We encourage our students to sort words, compare and contrast words, and discover patterns that make sense. Learning spelling rules not only improves a child’s spelling but also their writing and reading skills. Here is a fun rule that I like to teach. When a word starts with a /k/ sound how do you know if you should use c or k ? The rule is ” k takes i and e, c takes the other 3″. Children love to learn rhymes, they sing them and remember! The school year is coming to a close and summer is just around the corner. Now we all know that the last thing on most children’s minds is schoolwork, especially with the call of summer looming over them. However, there is one thing above most that children need to continue over the summer: READ! 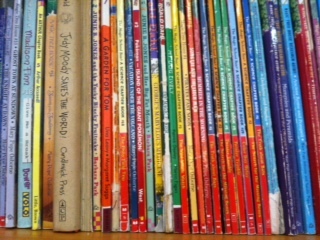 Reading is an essential part of a child’s education and a part of life that is so important. It needs to be practiced on a consistent basis especially at a young age. Therefore, summer is the perfect opportunity for kids to just read and have fun with it. The best part – there are no book reports to worry about and no reading responses that are due. So, this summer, encourage your children to pick a variety of books that would interest them and have them read at least 30 minutes a day. Happy reading! Every child is unique, important, and wonderful. Your child deserves a meaningful education. When the mainstream school system doesn’t fit, you have options. Little House has partnered with EBUS Academy to create a meaningful, accountable and relevant educational experience to suit the unique, important and wonderful learning needs of your child. Do you feel that your child is not receiving the support he or she needs to have a positive experience in school? For over 15 years, Little House Education Centre has been providing support to students and families who struggle in the mainstream school system. At Little House, your child will connect with certified teachers and specialized Orton Gillingham tutors who understand that not all children learn the same way, enjoy the same things or have the same needs. We understand learning disabilities. We understand anxiety. We understand distractibility. We understand bullying. At Little House, we understand how to foster positive learning experiences that are meaningful to each student and nurture potential to achieve personal and academic growth. We’re here to help. • Little House is proud to work in partnership with EBUS Academy, a BC Ministry of Education Distributed Learning (DL) program with School District 91. 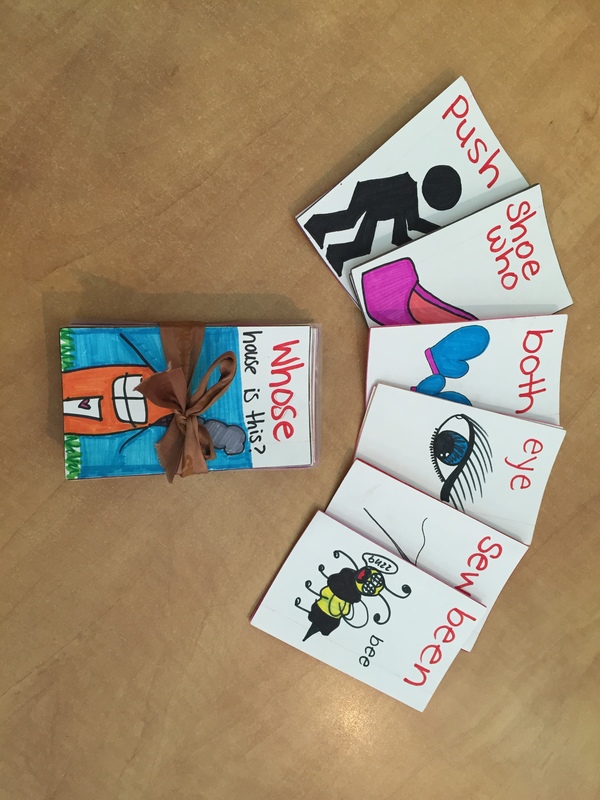 • Through EBUS, your child will have a classroom teacher who creates a program that is personally developed to meet his or her learning needs, with IEP support and curriculum modifications where necessary. • Your child will even get a BC report card! 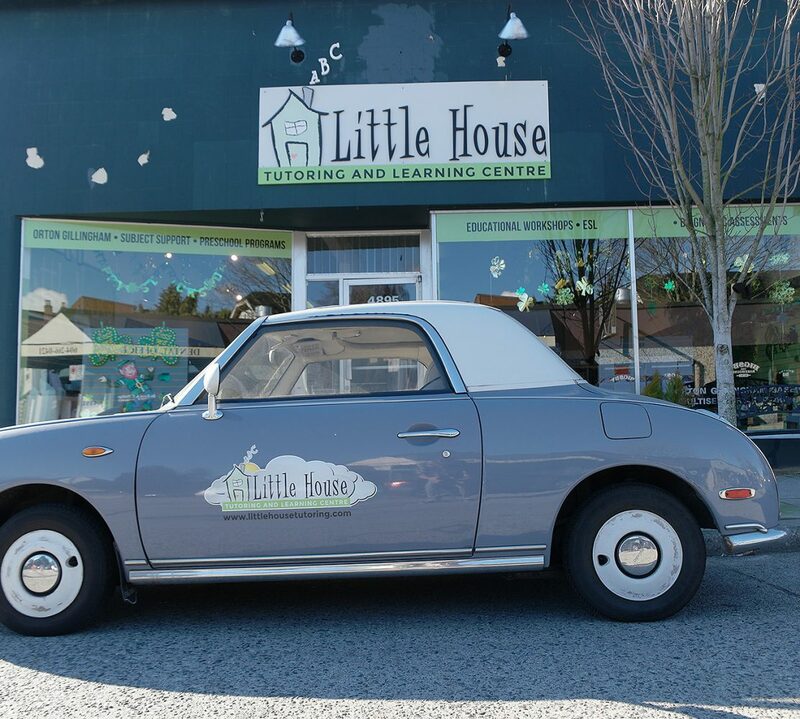 • At Little House your child will work with one of our own BC certified teachers who will implement the lessons, assignments and activities and act as a liaison with EBUS. Little House will be the accountable link that ensures your child gets the high quality education and recognition that he or she deserves. • Your child will become part of an engaging and interesting community of learners, with opportunities to connect with other EBUS students from around BC. When we go on field trips, use EBUS’ safe online student forums, or send letters to pen pals, your child will truly feel the value of belonging to something special. • If your child has a qualifying designation, he or she may qualify for up to $10,000 in special education funding that can be used for academic support at Little House. EBUS also provides additional funding for all students that can go toward music lessons, athletics and field trips to exciting places like Science World and the Vancouver Art Gallery. We can answer any questions you may have about alternative education, schedules and tuition. We are here to guide and support you through the DL enrolment process. 2. Go online to EBUS to register. Do not panic when you read that special education is at capacity. Through our unique relationship with EBUS, you will be able to proceed and access special education services, such as IEP planning. You will also be assigned to a dedicated teacher who will work with LittleHouse to implement your child’s program. Just write, “With Little House” in the additional comments and they will know that you’re with us. *Please note: Students who qualify for Special Education funding and support MUST be registered with EBUS and have any designations submitted by September. After this, funding will not be available and additional support will be limited. While your enrolment is being processed, we will finalise your schedule and ensure that any additional learning goals for your child will be met. We can also discuss funding options if your child has an eligible designation. 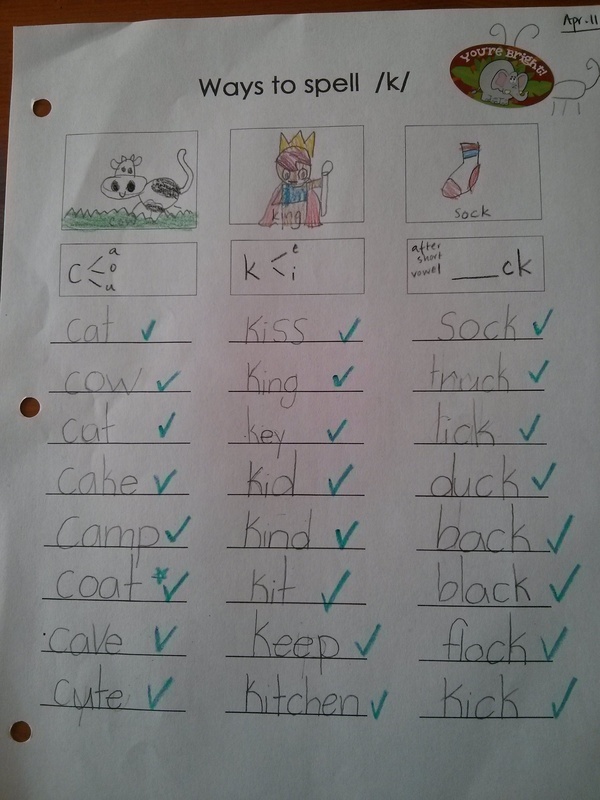 Learning how to spell new words, especially sight words, isn`t always a walk in the park. 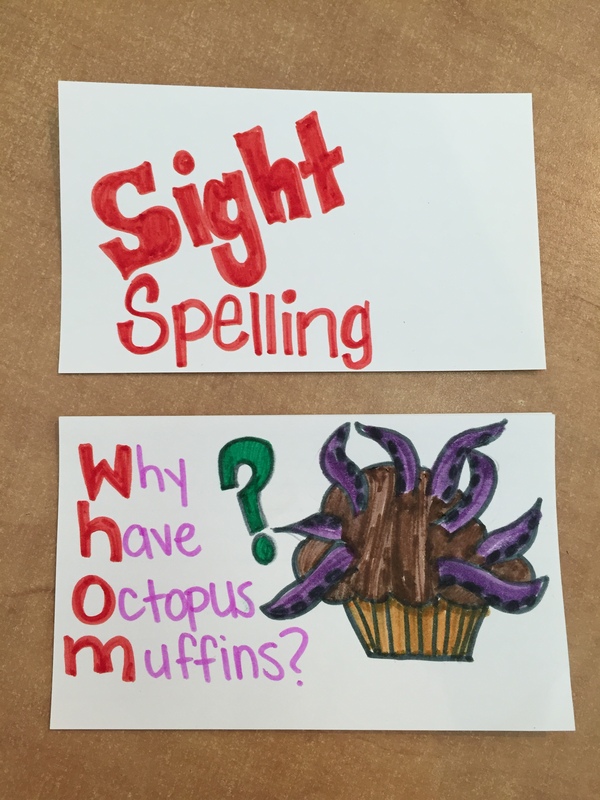 Sight words are critical to reading and spelling not only because they are used so frequently, but also because many of them cannot be sounded out phonetically. It is important as a tutor that we make learning as fun and creative as possible, especially to those students that really struggle with school. 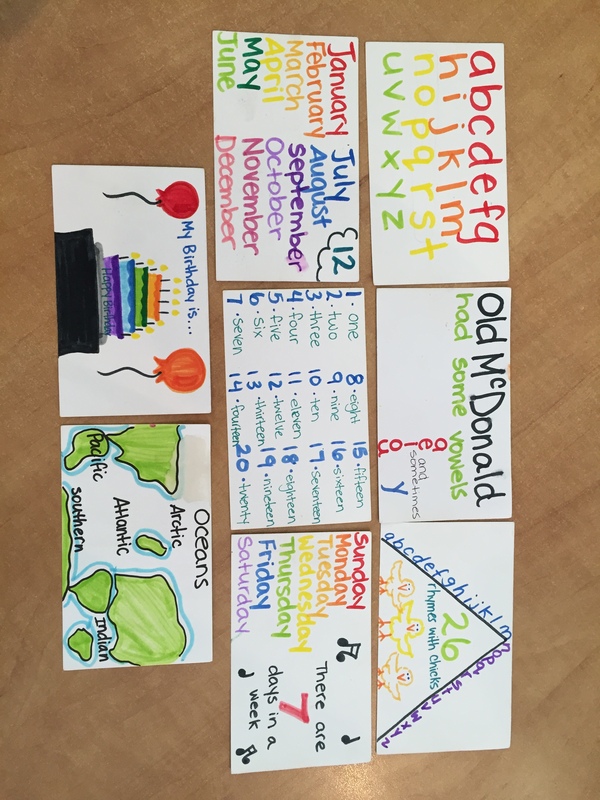 Today, my student and I created cards to help with those tricky sight words, and really had a lot of fun with it. He was able to use his imagination to create fun stories for each word that was presented to him. Anything involving creativity and drawing is his kind of work! Coming to tutoring can be a daunting idea for many students. One whole hour, one on one with a tutor is understandably a stressful thought. In fact most of the time once my students are in my chair they are giggling and realizing that learning can be fun; however before they reach my chair it is the fear of the unknown that can at times be overwhelming. As a tutor it is my job to ease any fears my students may have and make their hour with me as enjoyable and stress free as possible. I like to do this by instilling in my students that they are all amazing, capable humans and that it is my job to make them shine. Creating “Reading Races” and other goal oriented systems are other ways that really seem to get my students excited about tutoring, especially if a prize is at the end of the race. Snacks from home or a drink to sip on are other ways to make the hour more comfortable and “homey”. Some of my students even like to bring their favourite teddy, Pokemon cards, or prized possessions into class. This helps to get my students excited about learning, especially if we can mould the lesson around their toy. 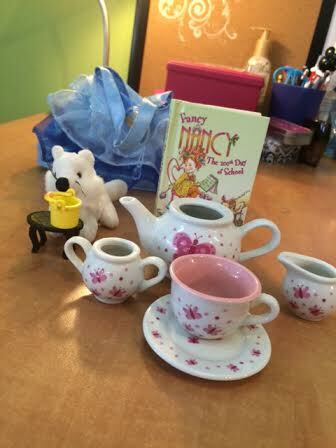 Recently, one of my students brought her favourite book, Fancy Nancy, along with her favourite tea set. Together we learned new phonics sounds while sipping our afternoon tea. Not only was this a fun way for my student to enjoy learning, but I had a blast too!